How should followers of Christ live in a multi-religious world? This book argues that the example of Jesus has something fresh and helpful to say to those who ponder the question. It takes something old—the example of Jesus—to say something new to our pluralist world. Most of the book examines the meetings of Jesus with Gentiles and Samaritans. These are found in some of the most poignant and dramatic encounters and teaching passages in the Gospels: a synagogue address with near-murderous consequences; the healing of a pagan centurion's servant; the setting free of the afflicted child of a Gentile mother; a moving encounter at a Samaritan well; the unlikely story of a compassionate Samaritan—and more. This is a scholarly but accessible discussion of what it might mean to “have the same attitude of mind that Christ Jesus had” in our contemporary multi-religious world. Many Christians experience a stirring in their souls after short mission trips or global conferences, or as they interact with the increasingly diverse sets of people moving into their neighborhoods, workplaces, and schools. But most don't know how to build intentional relationships with people from different backgrounds. Across the Street and Around the World offers an answer to those Christians wondering, Is it possible to engage with people of other cultures right now, in my everyday world—or even beyond?Step by step, it helps them see how to prepare their souls, reshape their worldviews, and redesign their patterns of life to become the sort of people who can represent Jesus across cultural lines and take part in God's plans for their neighborhoods, their cities, and the world. In our anonymous and dehumanized world, the simple practice of friendship is radically countercultural. But sometimes Christians inadvertently marginalize and objectify the very ones they most want to serve. 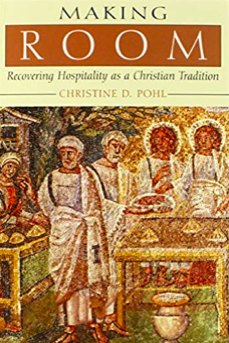 Chris Heuertz, international director of Word Made Flesh, and theologian and ethicist Christine Pohl show how friendship is a Christian vocation that can bring reconciliation and healing to our broken world. They contend that unlikely friendships are at the center of an alternative paradigm for mission, where people are not objectified as potential converts but encountered in a relationship of mutuality and reciprocity. Would you choose God over truth? If we Evangelicals are known for anything, we are mostly known for our opinions―opinions we are not afraid to express and express with much gusto and volume. But what if passion for truth is found not in the loudest voice and most unshakable convictions, but rather in the resolve to listen to and learn from others? What if that passion is found in a willingness to rethink our most cherished beliefs? What if it is found in a refusal to embrace simple black and white categories when the world offers a bewildering array of gray? What if it is found when we refuse to dismiss those who disagree with us as simply stupid or wicked? What if it is found when we seek to learn from others through open and honest dialogue? In You're Not As Crazy As I Think, Randal Rauser presents a very different picture of the passionate pursuit of truth from those who seek to stand on unassailable and unquestionable foundations. This pursuit begins as we rethink not only our truth paradigm but learn how to listen, to hear, and learn from groups so often marginalized by our biases. Could it be that those who we have dismissed or ignored, like liberal Christians, Darwinists, atheists, and animal-rights activists, are not that stupid or wicked after all? Could it be that they might even have something important to share about the truth? Life at the end of the twentieth century presents us with a disturbing reality. Otherness, the simple fact of being different in some way, has come to be defined as in and of itself evil. Miroslav Volf contends that if the healing word of the gospel is to be heard today, Christian theology must find ways of speaking that address the hatred of the other. 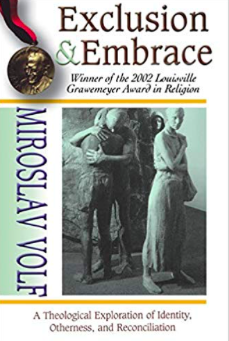 Reaching back to the New Testament metaphor of salvation as reconciliation, Volf proposes the idea of embrace as a theological response to the problem of exclusion. Understanding our religious neighbors is more important than ever—but also more challenging. In a world of deep religious strife and increasing pluralism it can seem safer to remain inside the "bubble" of our faith community. Christian college campuses in particular provide a strong social bubble that reinforces one's faith identity in distinction from the wider society. Many Christians worry that engaging in interfaith dialogue will require watering down their faith and accepting other religions as equally true. Bethel University professors Marion Larson and Sara Shady not only make the case that we can love our religious neighbors without diluting our commitment, but also offer practical wisdom and ideas for turning our faith bubbles into bridges of religious inclusion and interfaith engagement. 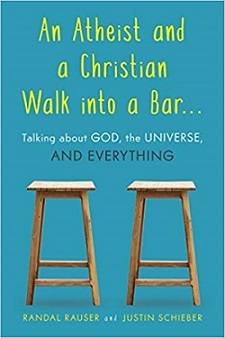 Drawing on the parables of Jesus, research on interreligious dialogue, and their own classroom experience, Larson and Shady provide readers with the tools they need to move beyond the bubble. Interfaith dialogue is difficult, and From Bubble to Bridge is the timely guide we have been waiting for. The church was established to serve the world with Christ-like love, not to rule the world. It is called to look like a corporate Jesus, dying on the cross for those who crucified him, not a religious version of Caesar. It is called to manifest the kingdom of the cross in contrast to the kingdom of the sword. 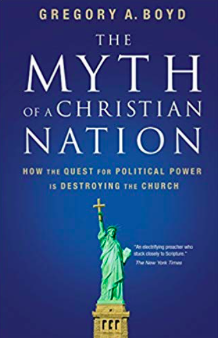 Whenever the church has succeeded in gaining what most American evangelicals are now trying to get – political power – it has been disastrous both for the church and the culture. Current discussion of Islam in America tends toward two polar extremes. On one hand is the notion that Christianity is superior to Islam and that Muslims are warmongers. On the other is the notion that all religions basically say the same thing and are peaceable. Lee Camp argues that both these extremes are wrong. 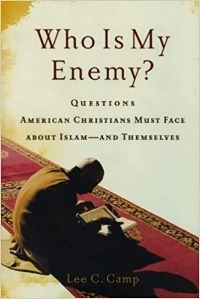 He examines Christian and Islamic views on war, terrorism, and peacemaking, helping American Christians confront their own prejudices and respond to Muslims faithfully. Camp shatters misconceptions about religious violence, arguing that American Christians often opt for an ethic that has more in common with the story of Muhammad than with the story of Jesus. 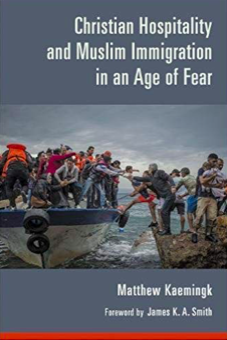 This book shows readers how to respond faithfully and intelligently to Muslims in today's world as well as to the New Atheists who suppose that all religion is inherently violent. It provides balanced teaching on war and peacemaking, offering hope for reconciliation in a post-9/11 world. This timely work addresses sensitive issues and relations between Muslims and Christians around the world. 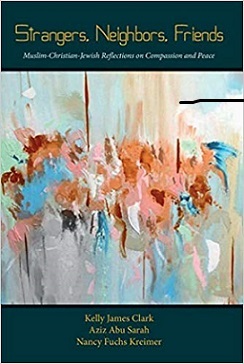 The book uniquely captures the opportunity for Christians and Muslims to come together and discuss pertinent issues such as pluralism, governance, preaching, Christian missionary efforts, and general misperceptions of Muslim and Christian communities. Can Christians and Muslims be friends? Real friends? Even in an era of intense religious conflict, David Shenk says yes. In Christian. Muslim. 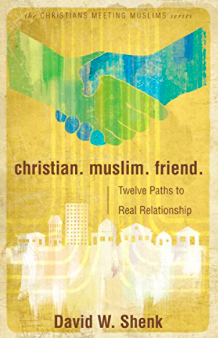 Friend., Shenk lays out twelve ways that Christians can form authentic relationships with Muslims—characterized by respect, hospitality, and candid dialogue—while still bearing witness to the Christ-centered commitments of their faith. The adherents of Islam and Christianity comprise half of the world's population, or 3.5 billion people. Tension between them exists throughout the world and is increasing here in North America. 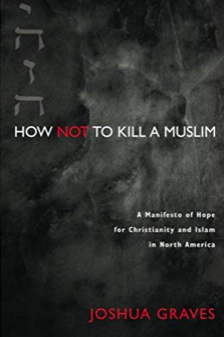 In How Not to Kill a Muslim, Dr. Joshua Graves provides a practical subversive theological framework for a strategic posture of peaceful engagement between Christians and Muslims. Based upon both academic and personal experience (Josh grew up in Metro Detroit), this book will provide progressive Christians with a clear understanding of Jesus' radical message of inclusivity and love. There is no one who is not a neighbor. There is no them. There's only us. In the last fifty years, millions of Muslims have migrated to Europe and North America. Their arrival has ignited a series of fierce public debates on both sides of the Atlantic about religious freedom and tolerance, terrorism and security, gender and race, and much more. How can Christians best respond to this situation? From 9/11 to Israel-Palestine to ISIS, the fear of the religious stranger is palpable. Conservative talk show hosts and liberal public intellectuals are united in blaming religion, usually Islam, for the world’s instability. If religion is part of the problem, it can and should be part of the solution. Strangers, Neighbors, Friends—co-authored by a Muslim, a Christian, and a Jew—aims to inform and inspire Abraham’s children that God calls us to extend our love beyond family and fellow believer to the stranger. A fascinating dialogue between a Pagan and a Christian. Gus DiZerega, an American pagan and and an academic engages in debate with Philip Johnson, an Australian Christian theologian. The two debate questions such as the nature of spirituality, who or what is deity, how humans relate to the divine, the sacred feminine, gender and sexuality, and the teachings and claims of Jesus. 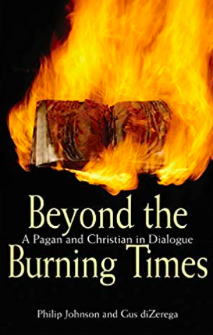 At the end of the book another Pagan writer comments on what Philip Johnson has argued, and another Christian comments on what Gus diZerega has argued. Paganism is acknowledged as the fastest growing 'religion' in western Europe and this book helps readers to engage with it and with orthodox Christian belief. The question of God is simply too important--and too interesting--to leave to angry polemicists. That is the premise of this friendly, straightforward, and rigorous dialogue between Christian theologian Randal Rauser and atheist Justin Schieber. Setting aside the formality of the traditional debate, the authors invite the reader to join them in an extended, informal conversation. This has the advantage of easing readers into thorny topics that in a debate setting can easily become confusing or difficult to follow. Like any good conversation, this one involves provocative arguments, amusing anecdotes, and some lively banter. Rauser and Schieber begin with the question of why debates about God still matter. They then delve into a number of important topics: the place of reason and faith, the radically different concepts of God in various cultures, morality and its traditional connection with religious beliefs, the problem of a universe that is overwhelmingly hostile to life as we know it, mathematical truths and what they may or may not say about the existence of God, the challenge of suffering and evil to belief in God, and more.